Daemon waits for incoming PPP data connection, authorizes it and answers it. 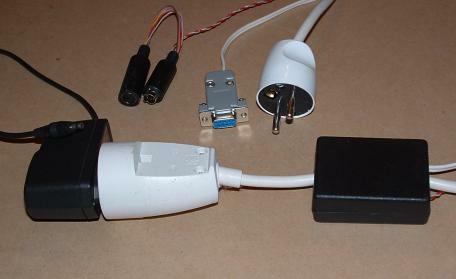 Scheme of computer controllde hardware charger for Nokia Communicator 9110 is supplied. It keeps the Nokia battery fit by automatically controlled battery charging cycles. Scheme for battery charger. Review/fixes by the courtesy of Pavouk. Connect serial port (such as /dev/ttyS0) to RS232 pins, your original mobile phone charge to AC pins. PS/2 keyboard fork of +5V/GND pins are required to power this hardware switch.